As the largest and most professional international glass exhibition in India, it attracted numerous glass enterprises from Southeast Asia and professional visitors to participate in. The range of exhibition included stillage glass, deep-processed glass, glass machine, accessories, auxiliary tools, chemical materials and other relevant products. 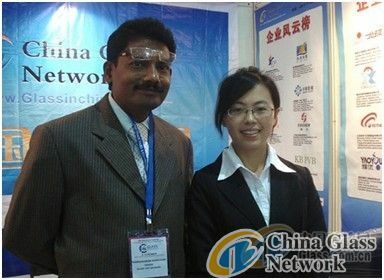 Being a professional network media in China glass industry, China Glass Network joined the exhibition to show its most complete information and services in industry network and collect information from foreign glass industry. It also built an information bridge between Chinese glass enterprises and international market. During the four days’ exhibition, a mass of audiences from domestic and overseas visited the booth of China Glass Network to consult. As a result, relevant materials from China Glass Network were in short supply. 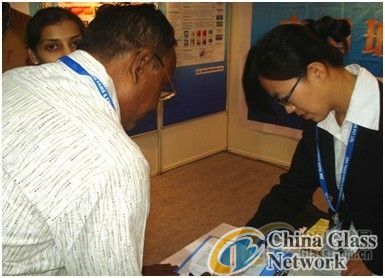 It was seen that more than 20 enterprises consulted with staff at booth of China Glass Network daily. 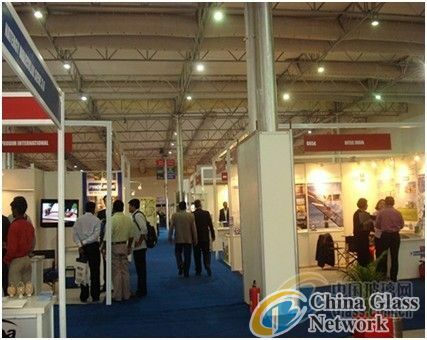 At the exhibition, many enterprises expressed cooperation with China Glass Network after fully understanding. And some old customers said they would continue to maintain the cooperation relationship. Moreover, China Glass Network was popular among purchasers at home and abroad. After communication face to face, both sides were willing to cooperate. The exhibitor filled in purchasing information. 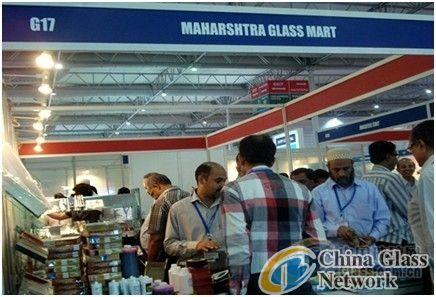 Besides communication with cooperated customers, China Glass Network also took back the latest information about India glass market. According to industry sources in India, as well as visiting many exhibitors, the demand for float and flat glass was very strong. The news provided the reference for Chinese glass enterprises which wanted to explore foreign markets.